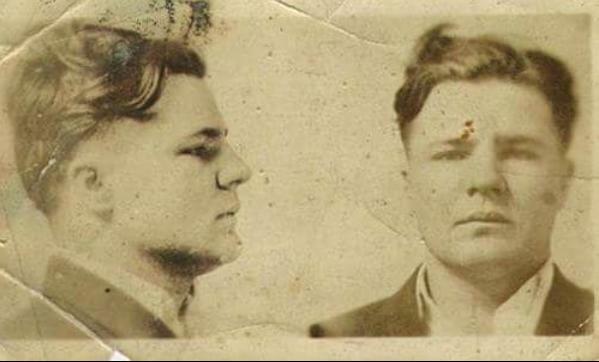 He may have been one of America’s best-loved outlaw: tens of thousands of people paid their respects at Charles “Pretty Boy” Floyd’s funeral after he was shot down by the FBI on Oct. 22, in 1934 in East Liverpool, Ohio. At 18 he robbed a neighborhood post-office of $350 in pennies. A three-year apprenticeship in the St. Louis underworld landed him, in 1925, in Missouri Penitentiary for a payroll robbery. There he peddled drugs, struck down guards, and met “Red” Lovett, who teamed up with him on his release in 1929. For the next four years he robbed rural banks, taking on new partners as his old ones fell dead by the wayside. The Oklahoman public remembered him differently: he was their Robin Hood. Rumors circulated that he had destroyed mortgage papers on heists, freeing hundreds of struggling farmers from foreclosure. It was said that Floyd was paying to feed a dozen families who might have otherwise gone hungry. His reputation for generosity to the “hill people” was repaid in kind when they helped him hide from the law in the foothills of the Ozarks.